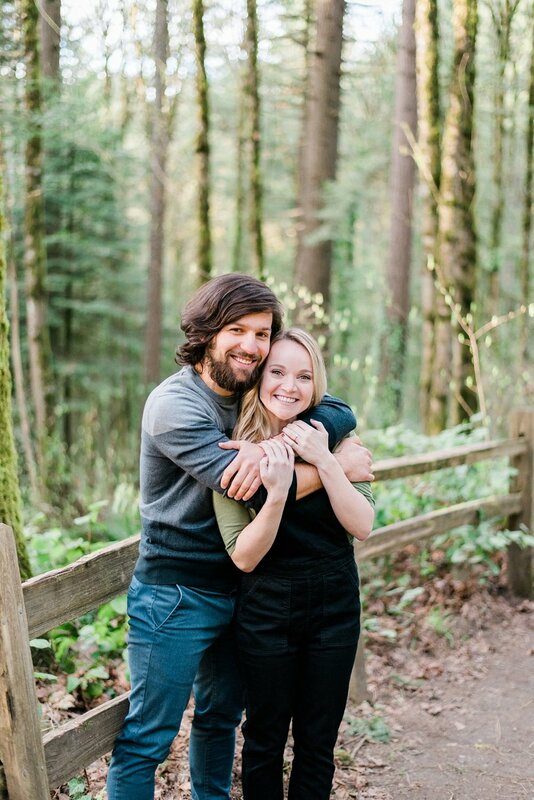 Shauna and Michael were long distance while dating, but planned a weekend to be together, just to shoot their engagement session. 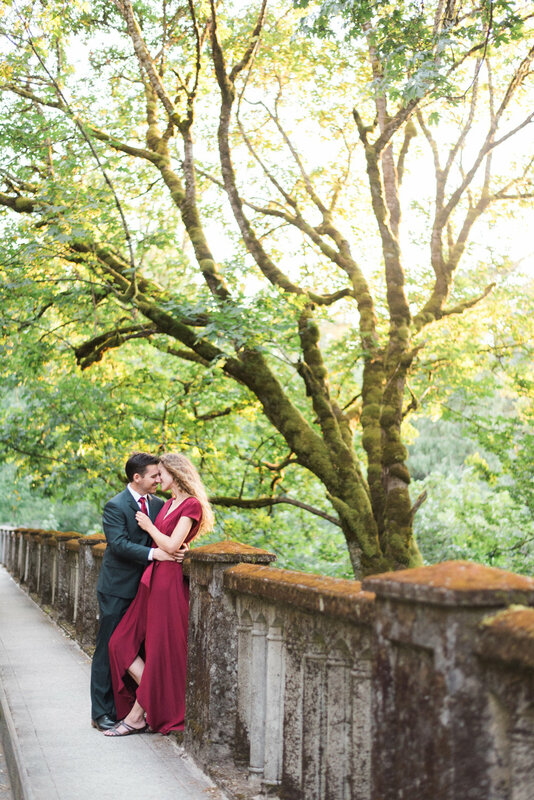 They picked the Columbia River Gorge for their photos, and I couldn’t have been more excited! After all, the gorge is one of my absolute favorite spots to shoot in Oregon! We planned to meet, for the first time, in the parking lot of Latourelle falls. 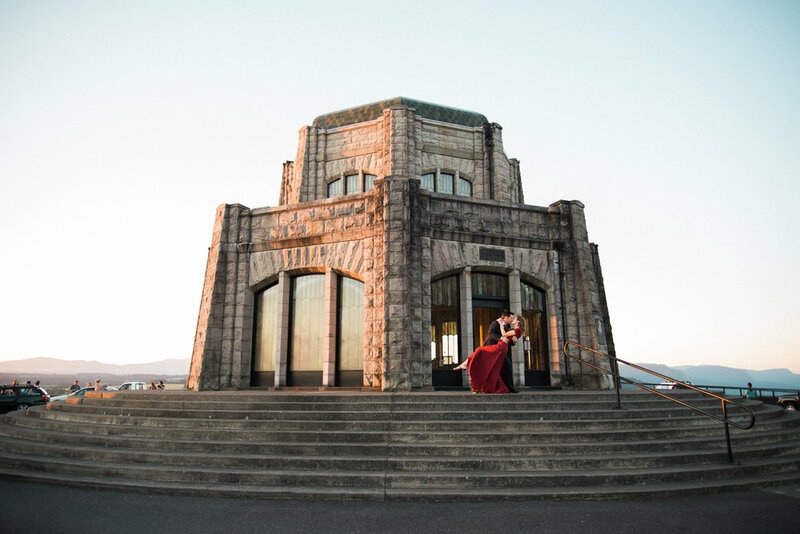 When I looked across the parking lot, and saw a stunning girl in a flowy red dress walking my way, I knew instantly that this session was going to be one for the books! We spent the next couple hours wandering the historic Columbia River highway, dancing in the street, and watching the sun set at Crown Point. In a word, is was simply magical. These two definitely get the “best dressed award!” I mean LOOK at them!! Just gorgeous. These two were so much fun to work with. 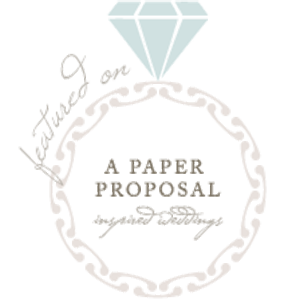 Andrea is a super talented event planner, and owner of Wandera Weddings. I have had the privilege of getting to photograph many of her super fun, gorgeously decorated events though the years. 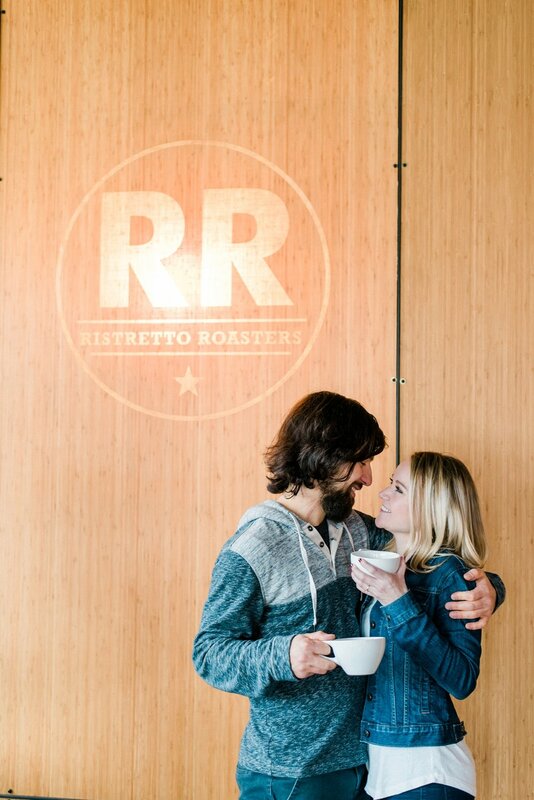 She always looks adorable, and every event she does looks amazing, so I knew photographing her engagement photos would be no different. 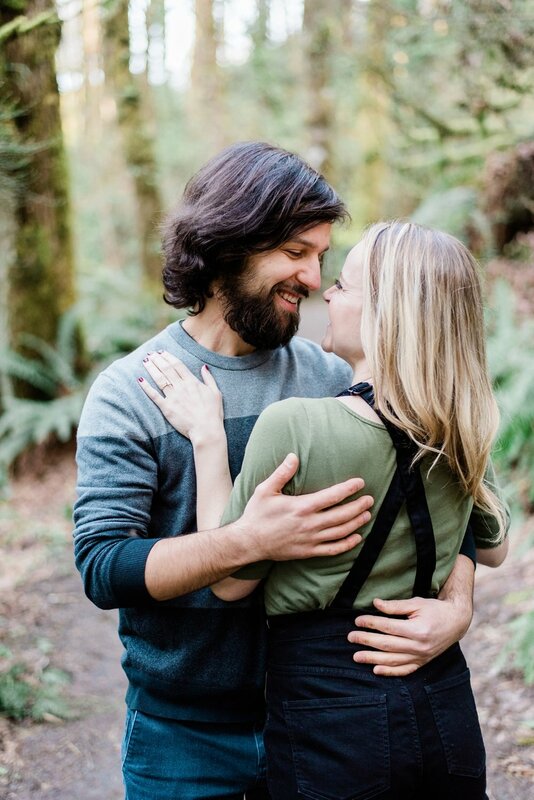 Andrea and Daniel love wine, and are even members at Stoller Vineyards. 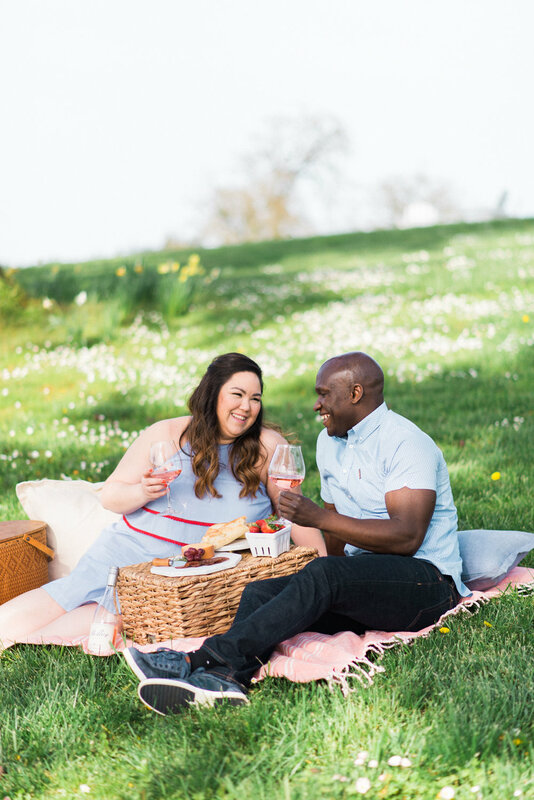 So naturally, it was fitting to shoot their engagement photos at a vineyard, with some wine in hand. 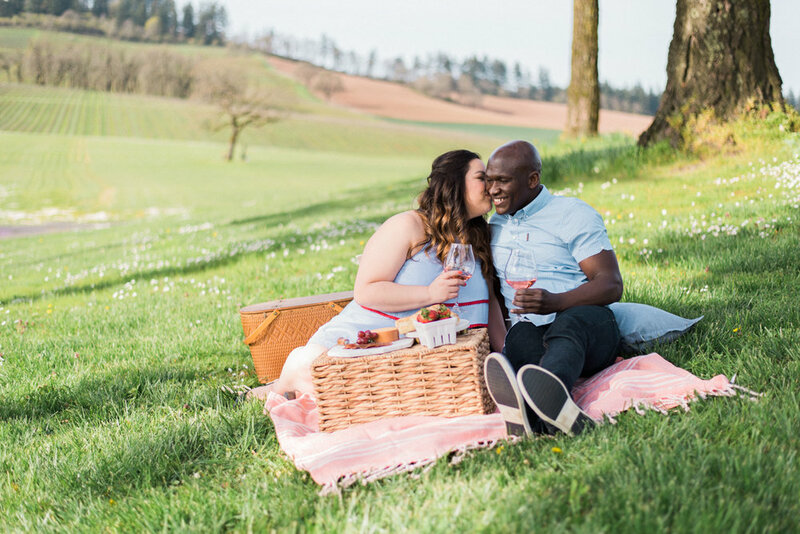 Andrea planned out an entire little picnic setup, complete with cheese boards and a charcuterie spread. Wine was sipped, kisses were shared, and a whole lot of love was captured. Love these two so much! Tracey & Mike are two of the sweetest, kindest, most genuinely beautiful people -- inside and out. 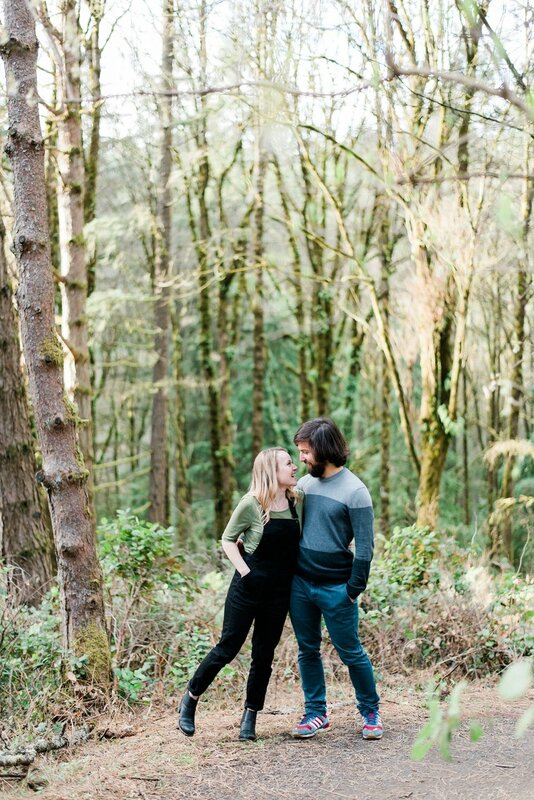 Today I am thrilled to announce that their scenic Columbia River Gorge engagement session is being featured by A Paper Proposal! Click the link to see the full feature >> here.